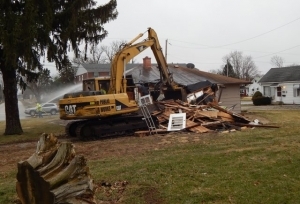 A crew from Danville’s Public Works Department demolished a home at the northwest corner of Jackson and Voorhees Streets this week. 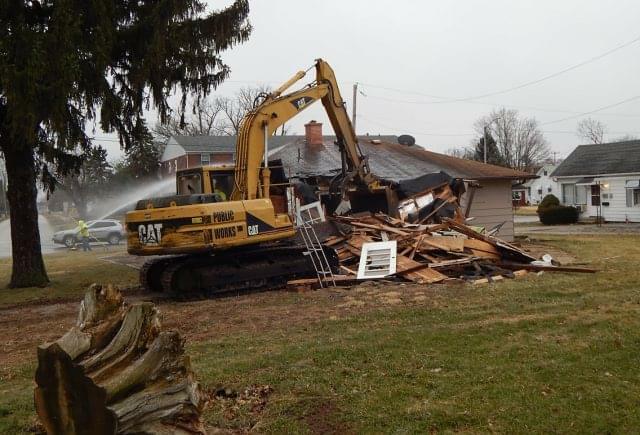 And that demolition could help clear the way for Danville’s second roundabout intersection. But there has been no decision made to place a roundabout there yet. Currently the intersection of Jackson and Voorhees is controlled by a four-way stop. The site was considered earlier for the city’s first roundabout, but then the decision was made to place it instead at Jackson and English Streets. It would be up to the Danville City Council to decide whether the city’s second roundabout should be placed at Voorhees and Jackson. David Schnelle, Director of Danville’s Community Development Department, says the home was acquired because of a planned extension of a shared-use path from English to Voorhees Street. 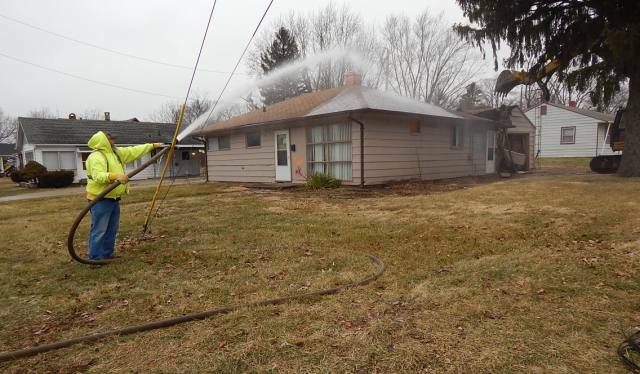 Schnell says the sidewalk was going to come pretty close to the house so the city decided to purchase it. 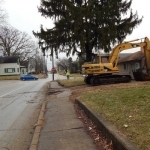 He added, however, that the city is continuing to review the Voorhees and Jackson Intersection for future improvements. 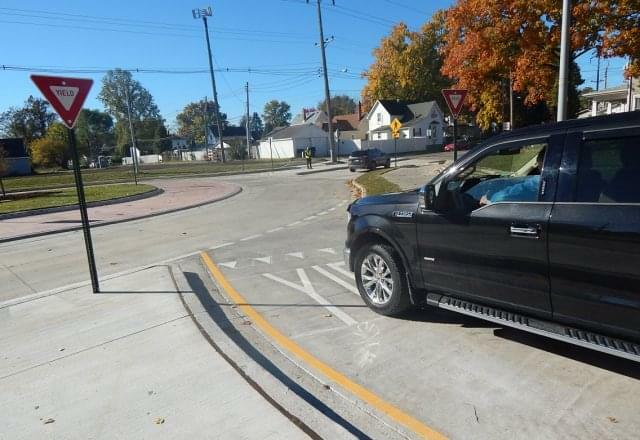 So he says eventually there would need to be another decision on whether to proceed with those improvements as a four-way stop or a roundabout. 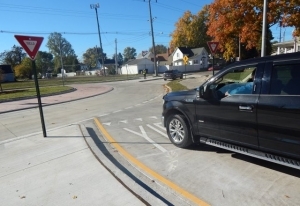 Motorists have become accustomed to the city’s first round-about, and some city leaders and many motorists have said they would like to see more of them. Instead of stopping at those intersections motorists simply need to turn right after yielding to any on-coming traffic. If a motorist wants to go left they simply follow the circle around until it is time to exit the roundabout. Another site that was discussed earlier for possibly placing a round-about is the triangular intersection where Denmark Road meets Logan and Winter Avenues.